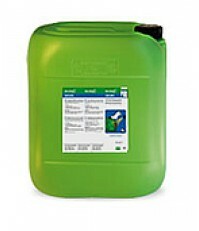 bio-chem CB 100 is a cleaner that benefits from the power of Nature. The waterbased cleaner features a pleasant scent and is based on renewable raw materials produced from recycled coconut by-products. 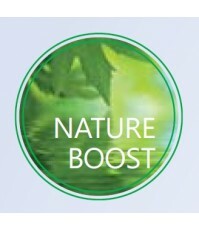 These natural ingredients impart the cleaner its excellent dissolving power. The surface will not be damaged, and the original look will be restored. bio-chem CB 100 will remove strong contaminations, such as rubber marks and residues, bitumen and wax residues, grease, oil carbon, soot, and pastes from steel, stainless steel, aluminium, non-ferrous metals, and other surfaces. Its innovative active substances guarantee strong cleaning performance. Simply spray it on, and it will dissolve persistent and strong contaminations. bio-chem CB 100 is VOC-free, which means that during the application only very low quantities of product vapours will be emitted. This in turn keeps pollution for the user and the environment low. 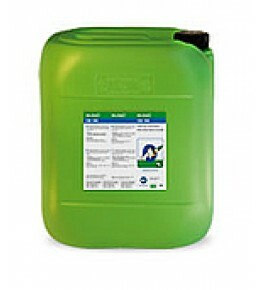 An essential contribution to the reduction of harmful substances in the workplace. bio-chem CB 100 can be applied manually using a cloth, paintbrush or washing brush. After cleaning the surface can easily be wiped off with a cloth. bio-chem CB 100 is an effective alternative to solvents that contain VOC and/or are irritant, and to paraffin. 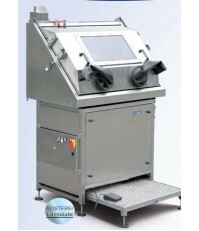 CB 100 is a next-generation metal cleaner/degreaser. While it is water-based, it contains “solvents” made from plant extracts – waste product of the food industry – and not petroleum. This means it is stronger than the normal water-based cleaners, but without the hazards. It’s not flammable, has no unpleasant or dangerous fumes, and is not classified as dangerous goods. What can CB 100 clean? Pretty well anything. 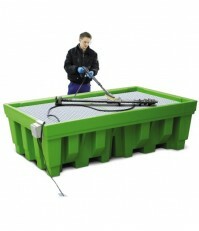 It’s made to clean oil and grease contaminants from metal parts, including steel, aluminium and brass. Anywhere you might have once used a solvent cleaner, you can use CB 100. It’s especially good for heavy grease, where you might have once used strong solvents to dissolve the grease. CB 100 will also remove bitumen, soot, wax residues, rubber. Great for burnt-on carbon! No, it’s a yellow colour. But is it environmentally friendly? Absolutely! Firstly, it’s made from renewable resources, waste product of the food industry that would otherwise be discarded, so it’s not using valuable food supplies and not using finite petroleum resources. Secondly, it’s VOC-free – i.e., it does not emit the Volatile Organic Compounds typical of petroleum-based solvents, which are a significant pollutant and contributor to greenhouse gases. 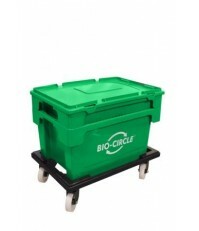 Finally, it’s bio-degradable when time comes for disposal. No. Citrus based degreasers are generally flammable, toxic and harmful to skin and many materials. CB 100 is not made from citrus products and has none of these problems. Yes, especially when compared to solvents. It is non-flammable, and has low volatility so no noxious fumes. We do recommend the use of eye protection (to avoid splashing) and also suitable protective gloves when using it for longer periods. But CB 100’s low-irritant formula means skin exposure is not a major concern, and certainly not enough for it to be classified as Hazardous. Yes! 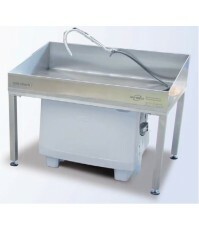 CB 100 will dissolve oil and grease quickly at room temperature, and is suitable for soaking of heavily contaminated parts before washing by hand or automatic machine. Its unique combination of bio-esters and surfactants give faster and more effective cleaning compared to the best water-based cleaners – and that’s at room temperature. But CB 100 can be heated (up to about 400C) for even more effective cleaning. And, it leaves virtually no residue. Will parts corrode while they’re being cleaned? 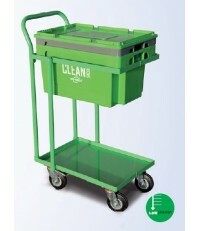 CB 100 works in a new area of cleaning technology, called micro-emulsion. The active ingredients form a film over the metal surface, protecting it from oxidation while it’s being cleaned. Some extra-sensitive materials may flash-corrode while drying (e.g., grey cast iron), in which case the addition of Corrosion Protection for Water-based Systems will protect the metal. But for most materials, it is perfectly safe to clean in CB 100. Of course, once the parts are cleaned, they should be protected from longer-term corrosion with a suitable product. Being water-based, yes it will eventually evaporate under the right conditions. But in practice, evaporative loss is minimal or nil. Firstly, CB 100 can be used cold – heated water-based cleaners will evaporate much more quickly (as will volatile solvents). Secondly, CB 100 is a non-emulsifying cleaner. This means that oil and grease cleaned from your parts will separate out, and float at the surface – sealing off the water-based cleaner below, stopping evaporation. So evaporation can only occur when you are actually using it. Can I use CB 100 in my existing parts washer? In most cases, yes. If you are already using a water-based cleaner in your parts washer, then CB 100 will be no worse (it will probably actually be better than most other water-based cleaners due to its integral micro-emulsion corrosion protection). But if you are currently using a petroleum-based solvent in your parts washer, CB 100 may contribute to long-term corrosion. If your washer sits atop a steel drum, this should be replaced with a plastic or plastic-lined drum. If it has an integral steel tank, then it should be lined somehow to avoid long-term corrosion. How long does CB 100 last? In practice, CB 100 will last up to 8 times longer than a petroleum-based solvent. Service life of the bath depends, of course, on many variables – not least of which are how often it’s used and how badly contaminated the parts are. The useful service life of a petroleum-based solvent is usually limited by how much oil and grease it has absorbed, and how much is lost by evaporation, as solvents are generally very volatile – much more than water. But CB 100 does not absorb the oil and grease – they separate out, and can be skimmed from the surface, greatly extending the life of the cleaner. Also, CB 100 has very low volatility compared to solvents so you do not lose much through evaporation (see above). How do I use CB 100? 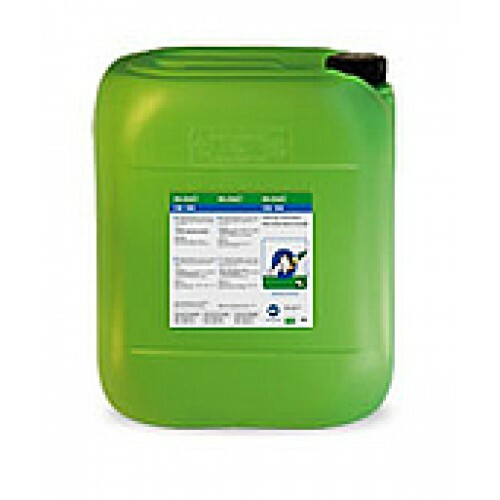 You can spray CB 100 on contaminated surfaces, then wipe clean. But it is best used in a bath or Bio-Circle parts washer – with minimal aerosol activity, evaporation will be negligible and cleaning more effective. There is also a new foamless version available, so it can now be used in automatic parts washers – even ultrasonic cleaners. You can also use CB 100 for pre-cleaning. If you already have a Bio-Circle parts washer, soaking heavily contaminated parts for 10-15 minutes first makes cleaning much faster and easier. CB 100 can be used in a Clean Box, Clean Box Flow, Bio-Circle parts washer (Mini, Compact or Maxi), or the automatic HTW-II or Turbo. It can also be used in the new high-pressure Turbo HP – the combination of solvent-like cleaning power and up to 40 bar pressure make the toughest cleaning job easy!